I’ve been on a huge skincare kick these past few weeks. 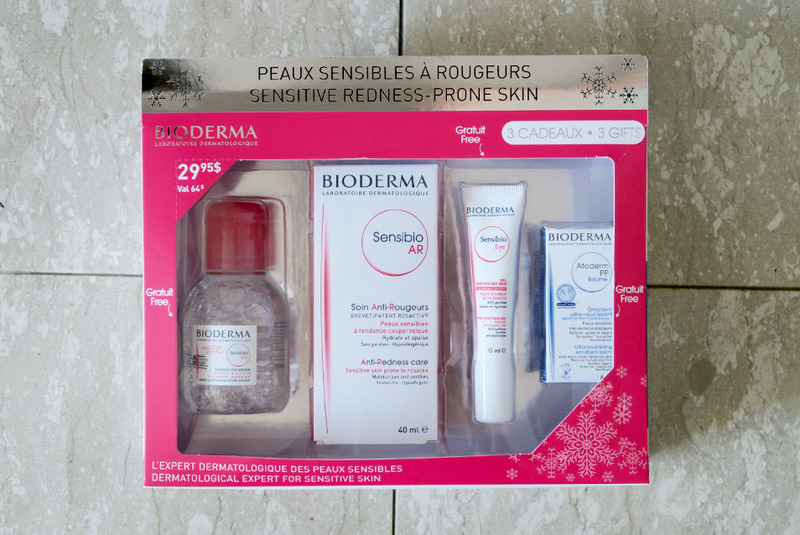 After discovering the Bioderma skin care trial kits, I’ve been addicted to the brand! 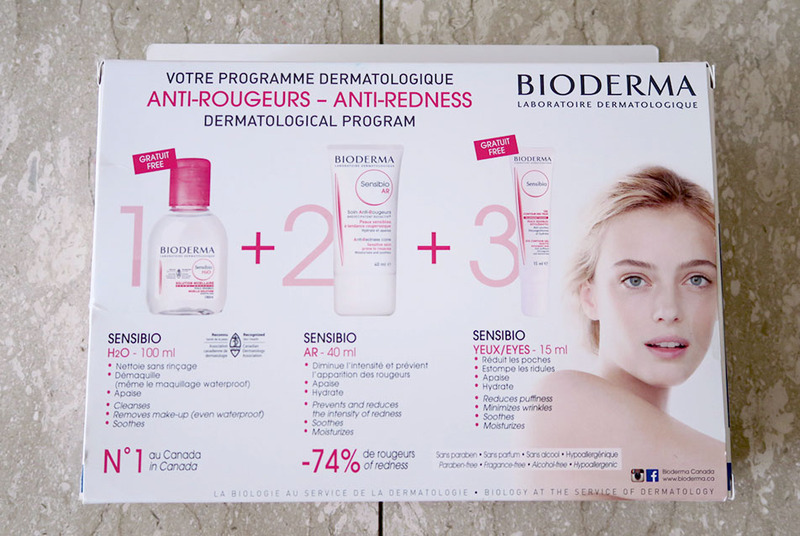 I’ve used Bioderma in the past (bought two bottles of their micellar cleansing water in France), but have only recently expanded to their collections in Shoppers Drug Mart. 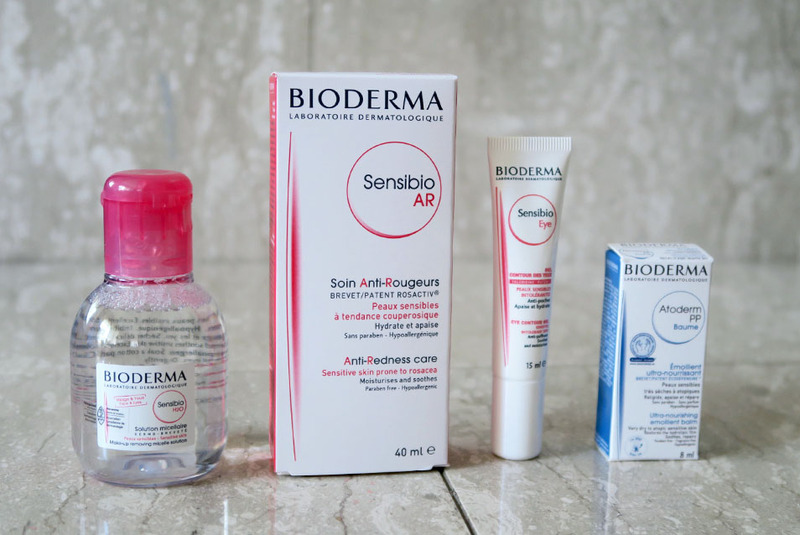 Fortunately for me, SDM carry a huge array of Bioderma products! I’ve always struggled with redness and rosacea on my face. 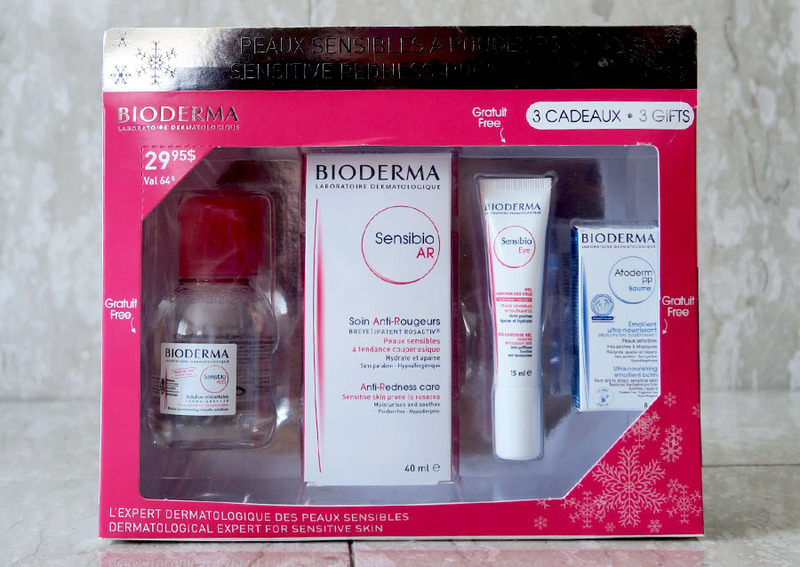 Whilst browsing the aisles in Eaton Centre’s Beauty Boutique, I noticed that Bioderma had released a holiday trial kit for sensitive skin and redness! I had previously wanted to try the anti-redness cream but decided against it because of the price tag. I had the $5 off coupon from the previous trial kits, and a $10 credit from my optimum points! The holiday hit only cost me $18 in the end, which I considered to be a very good deal! The kit includes a mini Sensibo micellar water (I swear I have like 6 of these now lol), a full size anti-redness moisturizer, a full size anti-puffiness eye cream, and a moisturizing balm cream. 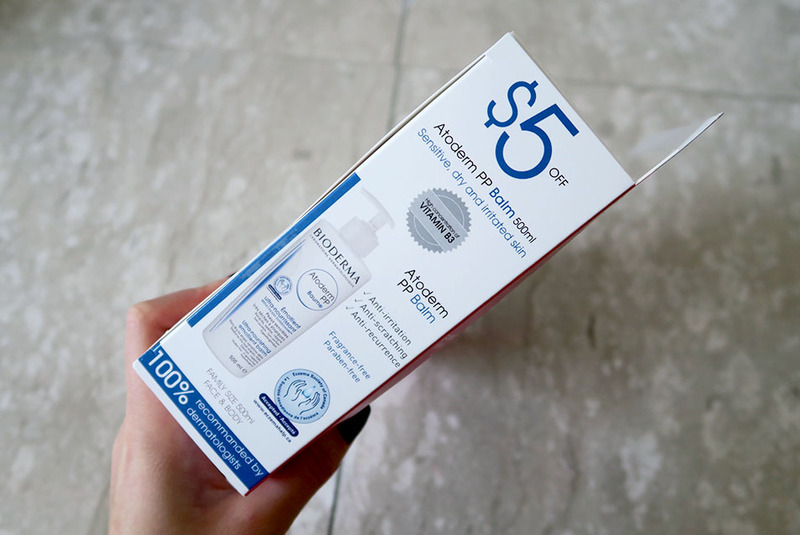 It also includes a $5 coupon for the Atoderm PP Balm… Although, I haven’t really figured out what the balm is for. It doesn’t feel like a thick balm, it’s more like a lotion? I’ll keep testing it out and get back to you later! 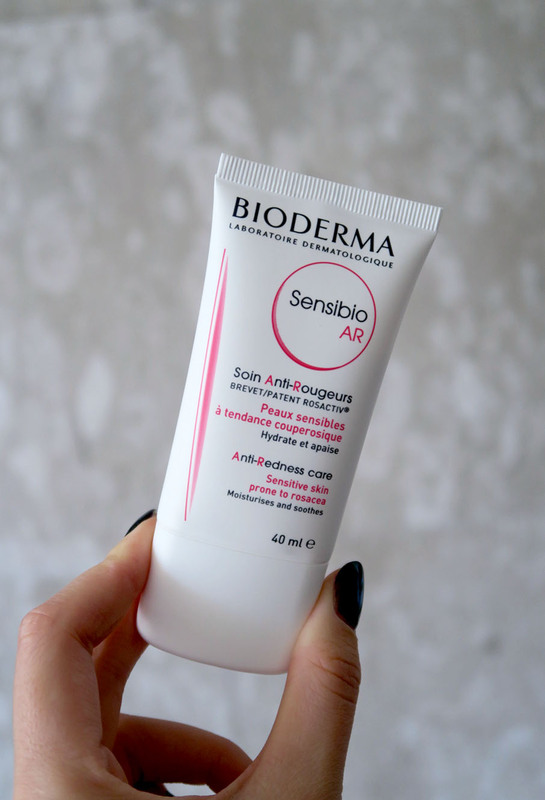 The star of the show – the anti-redness care moisturizer! It’s an ultra-gentle moisturizer which is supposed to minimize the look of redness and soothe irritated skin. I didn’t really notice any instant effects, but I’ll continue using it over the next little while. It does make for a very good makeup primer though! It has a gel/cream consistency that isn’t oily and absorbs quickly into the skin. Next up, the eye contour gel. 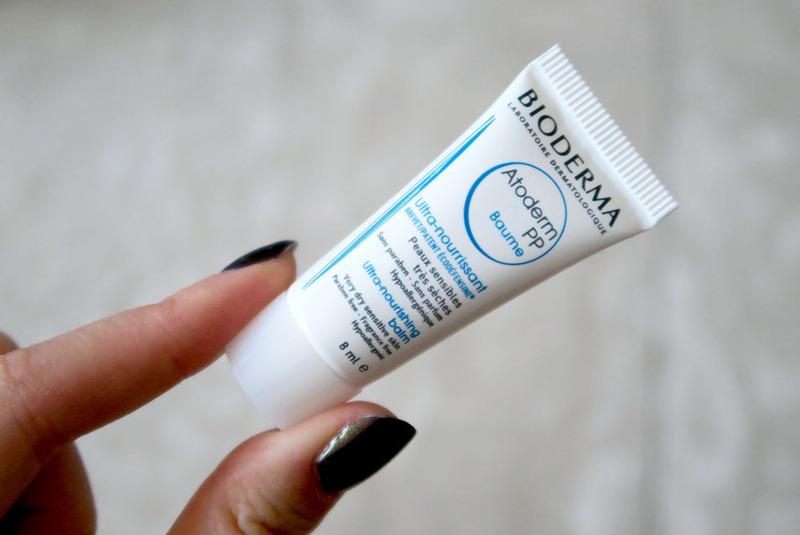 I really like this moisturizer – I’ve never really used specialty eye creams – I usually just pat extra night time moisturizer under my eyes to supplement. This gel absorbs quickly and feels very soothing on the undereye area! 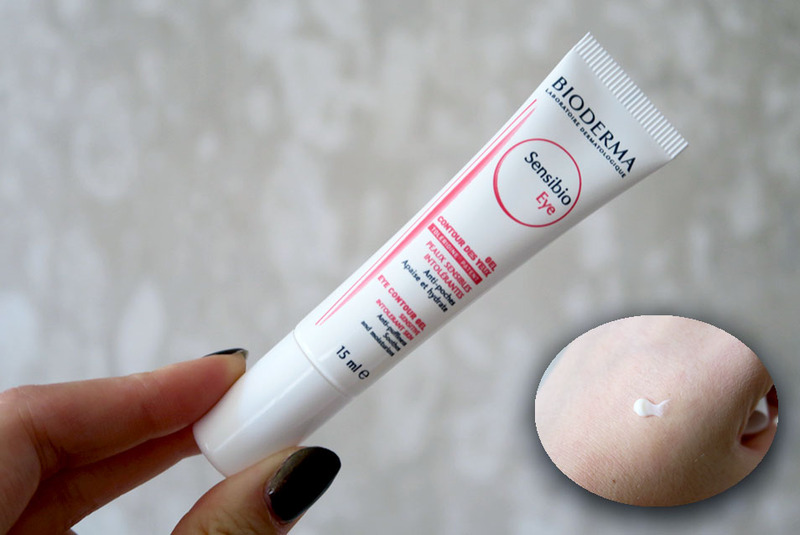 It also includes a tiny sample of this Bioderma ultra-nourishing balm. I expected it to be more like a lip balm / vaseline type of lotion but its more like a gel consistency.